This was a gift for a friend who loves to barbecue and he loves it. Especially when getting his briskets ready to smoke. Very easy to use and the fat just comes off easily! Worth the money and very easy to use! My son is a chef and his favorite method of cooking is grilling and smoking. 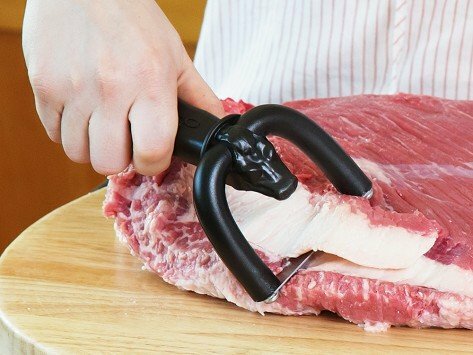 This great method of trimming the meat before he puts it in the smoker. The uniqueness of this item was awesome. He uses this a lot.